How can you get people to actually read your newsletters? Step 1: Get past spam filters. With people ever-inundated with emails, it’s harder and harder to get your email to someone’s inbox. There are two hurdles: your content and your IP address. 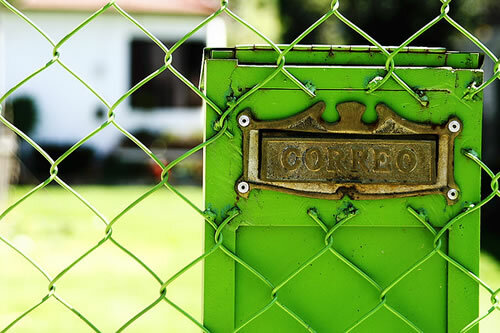 To ensure your newsletter’s content doesn’t look like spam, use some free online tools to validate your email’s content before sending (such as Spam Assassin, Is Not Spam, and Mail Tester). Spam filters also regularly identify certain IP addresses (the computer that’s sending the emails) as being likely spammers (with “low deliverability”). Many newsletter marketing services – often the free ones – suffer from IP address problems, because your wonderful newsletter may be sent from the same IP address as a spammer is using. To spam filters, you’re just like them. For additional fees, you can get a dedicated IP address to avoid any spam filter confusion. Step 2: A great subject line. Since you want someone to read the email, you need a subject that’s not spammy and clearly of interest to your audience. A recent trick that improves open rates is to start your subject line with “Re:” to give the sense that your reader has already engaged in a dialogue with your company. Step 3: Short and sweet. The goal of the newsletter itself is to get them to continue reading to the end. And that requires a deeper understanding of who your audience is and what they’re looking for from you. It should be something quickly read (easily digested) and leave them wanting more. A long newsletter often scares off people. A short email can be quickly scanned immediately. Great newsletters are beautiful to look at as well. Step 4: Make the newsletter a gift. Don’t confuse a newsletter with a direct sales ad. It’s much more subtle than that – it’s about showing the reader that you understand their needs, so when they have a problem like you’re focusing on – they’ll contact you (or refer a friend to you). You build strength by connecting your newsletters to your website or video library – to keep them “in your world”. A single newsletter is unlikely to suddenly make your reader sit up and take notice of your offering. Your goal is to get your name into their long-term memory, and that takes repetition and quality. Respect flows both ways.